Project Nehemiah | Medical Ambassadors Philippines, Inc.
Posted on June 4, 2015 August 19, 2016 by Medical Ambassadors Philippines, Inc.
We trust that you all have an enjoyable, refreshing and heart fun vacation with your loved ones, and friends. To our families, friends, church-mates, co-workers, our hosts in the area, and MAP partners locally and abroad, thank you so much for your prayers, emotional support, financial provisions, relief goods, and medicines so that the medical-surgical emergency activities , relief goods, school supplies and carpentry tool distribution were done very successful. The teams were physically exhausted yet the blessings of peace, joy and transcending love of Jesus Christ were demonstrated, experienced, and felt by the survivors. It was worth it all. MAP Team: Dr. Francis Daytec Jr. (volunteer physician), Dr. Dan Veneracion (dentist),Juanito ‘Yan’ Amarillo Jr., RN, Joshua Abram ‘Joab’ Afuang, RN,. Medical and Dental Mission done at Busuanga, Culion, and Coron Palawan. 1,700 packs of relief goods from MAP donors were transported via 2GO cargo service to Busuanga and were distributed among the Yolanda typhoon victims accordingly. 500 packs of relief goods from MAP donors were sent to Coron c/o Pastor Noy Ortiz and were distributed among the Yolanda typhoon victims accordingly. MAP Team: Dr. James Gumpal (volunteer), Dr. Heda Trias (volunteer), Tess Calupig, Cris Gardon, Julius Melad and Tess Guese (volunteer midwife). The team has two medical doctors, 3 nurses, and 1 midwife. They served more than 1500 patients sought for consultation and distributed relief goods in Tubigon and Calape, Bohol. Everyone was seen and examined by our two volunteer doctors who willingly served the Lord through this people. In Brgy. Bonbon, Calape, Bohol- for the first day of medical mission and relief distribution in partnership with Jesus Christ Church headed by Ptr. Rene Aplacador and six BHW; 180 patients consulted and 150 families received relief goods. In the afternoon, the medical mission was held at Brgy. Ubujan Evacuation Area, a place they called Barangay Tent because they live in a tent. A total of 150 families live there. We served 141 patients and 344 persons received multivitamins and other supplements, and 230 families received relief goods. In the evening was a thanksgiving fellowship. Attendees were volunteers, BHW and local officials. The program started with a prayer and exhortation by Ptr. Henry. They are very much thankful of MAP’s presence for the relief goods, medical service but most importantly the love of God they felt through the team. Then on the third day of medical mission and relief distribution held at God our Saviour Jesus Christ Church at Bgry. Macaas headed by Ptr. Thelma Aguatis; 305 patients served and 850 families received relief goods. On the last day, medical mission and relief distribution were held at brgy. Cabulijan, Tubigon Bohol. Headed by Chairman Rosalio Boja Jr., kagawad Mamac and eight BHW volunteer; 170 patient consultations and 100 families received relief goods. The partner pastors prayed for the people while the medical team spent extra time listening to their stories. The Capiz host NACPHIL CABUGAO PEOPLES ASSOCIATION gave the team a warm welcome, very good accommodation and delicious food. On the first day at Indayagan, Maayon, Capiz, the team seen and treated 243 patients and distributed noche buena packs to 206 families. Second day in Calapawan, Dumarao, Capiz they provided medical service to 270 patients, gave noche buena packs to 150 families and 255 school supply packs among elementary and high school students. Third day, in Culajao, Roxas City, Capiz and The Good News Church Mckinley Road, Roxas City with 319 patients received medical services, 551 noche buena packs and 368 school supply packs among elementary students. Consequently the team also uttered silent prayers to the patients while listening to their hurts and stories of their experiences during the typhoon. On the first day, the team headed to Tacloban Alliance Evangelical Church, Tacloban City; 120 people received medical services. On second day, in Sacme, Tanawan; 150 people were treated and 50 were given vitamins, then in Aslum , Alang-alang Tanawan; the Good News of Salvation was shared to 400 then medical service was conducted. 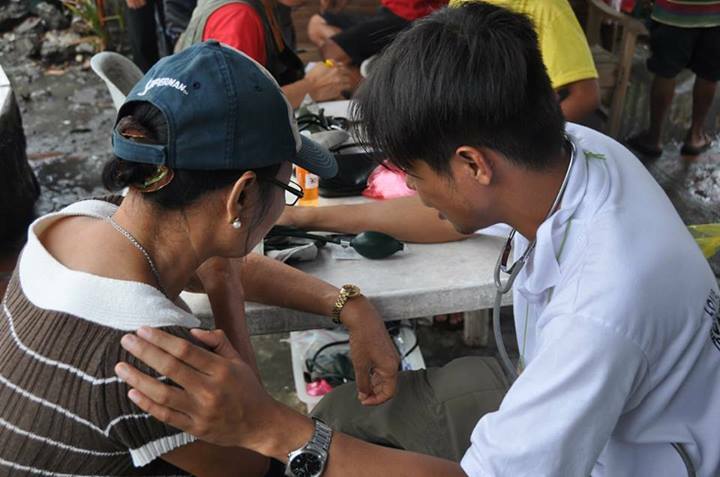 On the third day the team headed to Easter Samar in Lawaan and provided medical services to 250 patients. Each patient received a Gospel reading material in Samarenyo dialect. Thanks to Philippine Bible Society. 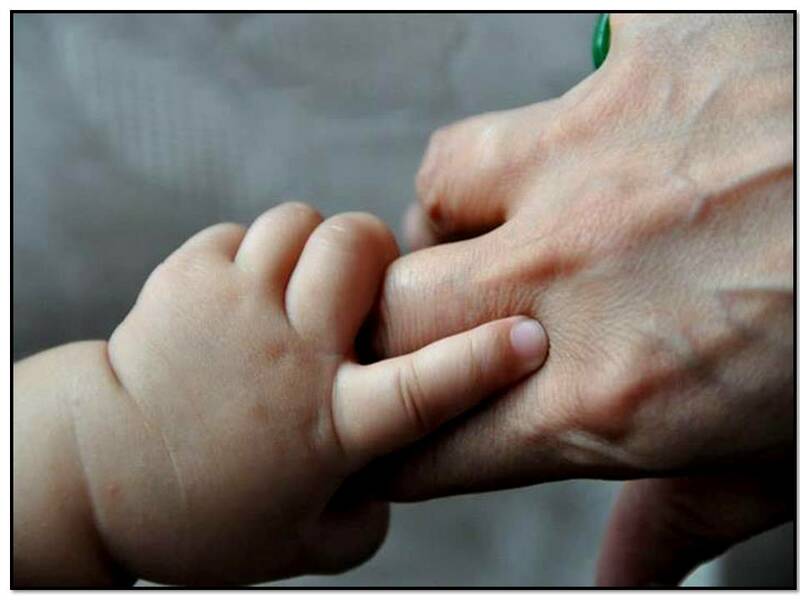 Hand in hand with medical services, patients were prayed for and the team listened to the patients who expressed their fears, uncertainties, and hurts. On the night of second day, the team and church volunteers prepared 1300 noche buena packs and 100 sets of carpentry tools. 300 school supplies for elementary and high school students. These stuffs were distributed to Lawaan, and Hernani Eastern Samar, Sakme, Tanawan, Aslum, Alang-alng,Leyte, Biliran, Marabut Eastern Samar, and Tacloban City. On the third day, 75 pastors, missionaries and families of New Life Baptist Church, Tacloban City received medical check-ups and noche buena packs. Note: Pray for God’s wisdom, guidance, and direction as we plan for the Project Nehemiah rehabilitation project next week for the next few months. 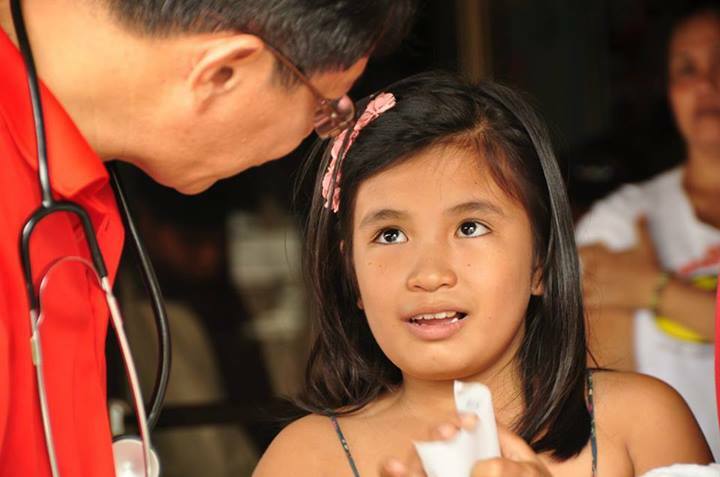 Transforming Communities through God's Love and Holistic Care	View all posts by Medical Ambassadors Philippines, Inc.
Good day to you Dr. Joel. Regarding the mission trip that you will conduct, determine first whether you’re going to provide medical/ surgical/ dental/ optical mission. You may also provide all of them if you have resources. First, you have to determine your target pop. (number of patients that you will cater) so that you can estimate your budget as well. For medical mission, we usually bring medicines for common illnesses, vitamins, and equipments for check-up/ consultation. For surgical mission, we usu. conduct circumcision, and minor surgeries. Provide instruments for the doctors (or they may bring their own), medicines, anesth, dettol, and other supplies that you will need for that. I hope I answered your question, Doc.